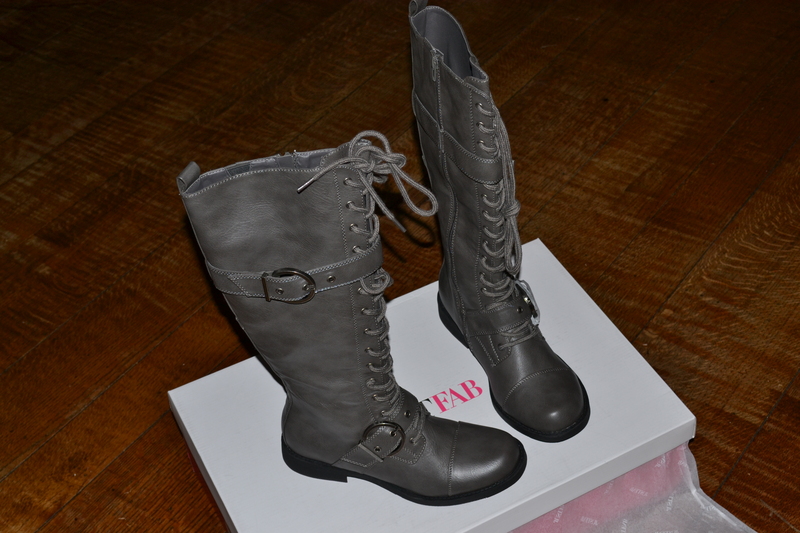 JUSTFAB most have boots haul &review !! JUSTFAB have an incredible boot collection to help us all to be ready for the fall or every occasion. I found three pairs of boots from the collection which I think are absolutely necessary for the season. Remember guys when it comes to the size of shoes, make your choice base on your own experience with shoes because sizes change according to the style and brand. I also get this question a lot “Is it comfortable to walk with?” I try to give you guys a general answer. Although I did try to use this boots in all the different activities possible that came to my mind, You need to keep in mind that the activities that i realized and the time I did them might be different than yours. Lets start with the service, it was amazing!! I couldn’t do the return online because It wouldn’t let me keep a pair and send two back. It wanted for me to send everything, so I called customer service and the people was really nice. The entire process of the exchange was fast and easy, I loved it.!! I chose this style because they look though and elegant at the same time. I really like these boots they are really versatile and a wardrobe staple. This style is all about the details, It can be pair for a casual and elegant day look. The size runs half a size too large, so I was a little disappointed when it didn’t fit me, but know that I have right size I can tell you guys, this boots are amazing! Are they comfortable to walk with? They are comfortable enough to go shopping with them. I bought them in dark brow and I have been styling them with pixie pants, denim, tank tops and jackets. This boot are amazing!!! they can give a lot of personality to a simple outfit. I first got hem and they were to small they run one size small so I had to order them a size bigger and sill were feeling a little to tight from my caves, I took the to Nordstroms so they could stretch them out for me. The process was really fast it barely took 2 hours for they to have them read for me. the boots are pretty, simple and with an army style, they are really nice but no so comfortable to walk for long distance or going shopping.! You guys might know by now I love walking and I love for my shoes to have style and also to be comfortable. If you guys are looking for a long comfort his boots might not be the most appropriate ones. this Armey boots are pretty and nice but they are my less favorite from the entire purchased. Perfect size and perfect fit .Some boots tend to run half size bigger or smaller, but this ones are in the accurate size and fit scale. I chose this boots because they are wide calf and they are so pretty and classy that need it to be in my wardrobe. I’v been wearing them for a while now and they are comfortable to walk with. I have wore the when it was raining and they are perfect!. I like to pair them with pretty leg warmers skinny jeans and oversize sweaters. my favorite boots!!! Well you guys this are all my comments about my incredible boots. I hope you guys like it. If you bought any pair of shoes from JustFab post a picture an live a comment in the comment bar below also tweet me a picture @TeamGlamItUpp If you guys want to go check Justfab.com the have a extended ciber monday until midnight tonight 12/03/2014. treat your self con amazing deals at justfab.